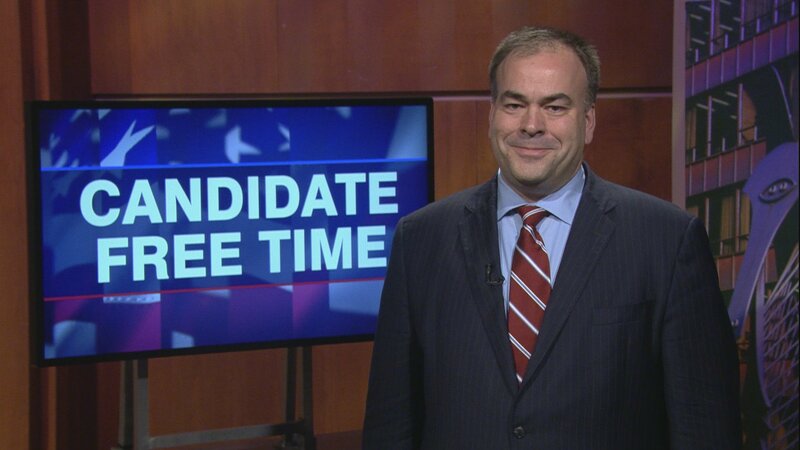 Video: Fritz Kaegi tells voters about his platform. Learn more about Candidate Free Time. Family: Fritz and his wife Rebecca live in Oak Park with their three children, William (11), Rose (8), and Anna (6). The Cook County assessor establishes a process for fair and accurate property assessments within Cook County, seeks equitable tax policies, and communicates information about property assessments and taxation to the public. At the core of this campaign is my belief that Cook County voters have every right to expect fairness, ethics, and transparency from the Assessor’s office. Under the status quo, the Assessor’s office is organized to deliver favors to a small handful of winners, rather than a public service for the taxpayers. This system has generated shocking over-assessments for working people, especially those living in areas impacted by the housing crisis and foreclosures—particularly in communities of color. Ethical issues, a culture of pay-to-play, and a near total lack of transparency have exacerbated these inequities. I believe we can change it, deliver a major economic benefit to county residents, and repair trust in the fairness of the whole property tax system. The Assessor’s Office determines how the $14 billion annual property tax bill is divided, based on the fair market value of everyone’s home. By taking advantage of the ever-proliferating means of gathering data and using the best models available, we can do this. We are committing ourselves to telling property owners how their assessments are calculated. No more closed door, back room adjustments. This should be the minimum standard for this office. We will go further by making data and algorithms available to outside parties. By opening up the data in this way, we can root out the biases and unsound valuation practices and favoritism that we know have existed—and restore confidence in the office. As we bring sunlight into the assessment process, a lot of it will look ugly. This is because we are looking at unwinding years of corruption, malfeasance, and neglect. Bringing in a slate of new ethics rules on day one we believe will go a long way toward breaking the perception that certain parties have an inside track to more favorable outcomes. As a candidate, I have already pledged not to accept donations from the property tax appeals industry and as Assessor I will do the very same. In March, the voters sent a strong and clear message that fairness, transparency, and integrity are not too much to ask of elected officials. We continue to feel this urgency every day, as we work toward November. Making the Assessor’s Office ethical, transparent, and fair is an essential step for making our whole system of local government finance fairer and smarter. Our plan will greatly reduce the regressivity of our property tax assessment system, but at the end of the day, property taxes are a regressive way for government to finance itself. It is inherently inequitable for local property prices to determine spending on education and other public goods. About 60% of Cook County property taxes go to our public schools, and that is largely because Illinois ranks last in the United States for state funding of local schools. Other states share more revenue with local schools because they have higher, more graduated income taxes to share. We intend to push for the graduated income tax as part of our effort to reduce the burden of property taxes everywhere, but especially in communities impacted by the housing crisis where effective tax rates are disastrously high. The same communities that have been damaged by years of over-assessment. The Assessor does not have power to legislate change on these issues, but we can forcefully testify to the need for that change. I’m Fritz Kaegi, Democratic Nominee for Cook County Assessor. At the core of this campaign is my belief that Cook County deserves fairness, ethics, and transparency from our Assessor’s office. Right now, the Assessor’s office is organized to deliver favors to a small handful of winners, rather than be a public service for everyone, regardless of who you are. As a result, our property tax system generates hidden costs and shocking inequities. When downtown commercial property is under-assessed, working families and seniors have to make up the difference. Especially in Black and brown communities. I believe we can fix this system. I will never take campaign contributions from the property tax appeals lawyers who do business with Cook County. By enacting a slate of new ethics rules, we can eliminate the culture of pay-to-play. Transparency will also go a long way towards restoring trust in our assessment process. I am committed to telling property owners how their assessments are calculated. No more closed door, back room adjustments. We will go further by making data and algorithms available to outside parties. By opening up the data in this way, we can root out bias and favoritism. We are in the middle of a data revolution, and our Assessor’s office is uniquely positioned to take advantage. By drawing on the best data sources and models available, we can get this right, and transform our Assessor’s office into an efficient government office that works for all of Cook County. In March, you sent a strong and clear message that fairness, transparency, and integrity are not too much to ask of elected officials. I feel the great urgency to fix this system and restore the public’s trust in the Assessor’s Office. I hope I can count on your vote on November 6.